Sample shown using EESO typestyle. 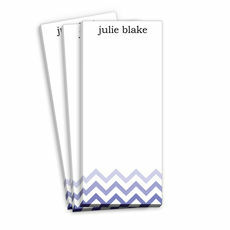 Set of flat note cards with fully designed back as shown. 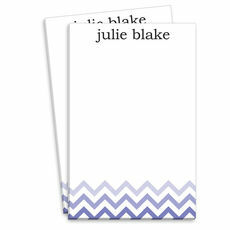 Your personalization will be flat printed in ink color as shown using typestyle of your choice. Blank white envelopes included. Optional envelope linings available. Packaged in a clear bag with a coordinating ribbon. Card size 5.5" x 4.25". Return address imprint in flat black ink available. Positioning as shown.